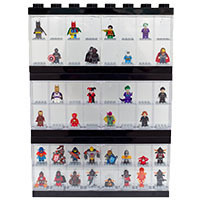 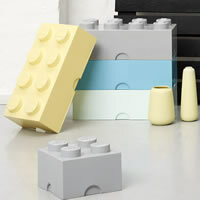 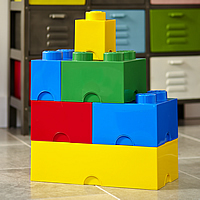 Just like our original Giant LEGO Brick Storage Boxes, our glossy LEGO drawers are officially licensed to us by LEGO themselves and are faithful reproductions of the world's favourite bricks in design and LEGO colours but massively scaled-up! 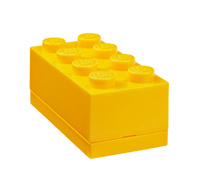 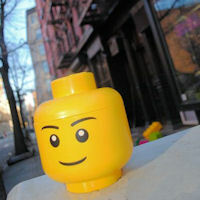 Click together like the original LEGO toy brick and off you go! 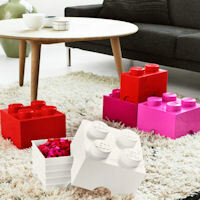 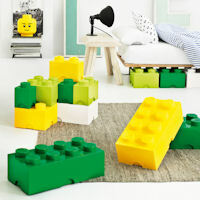 These handy storage drawers come in several sizes and the contents of the drawers can be instantly accessed without having to unstack and re-stack these inspiring LEGO storage drawers. 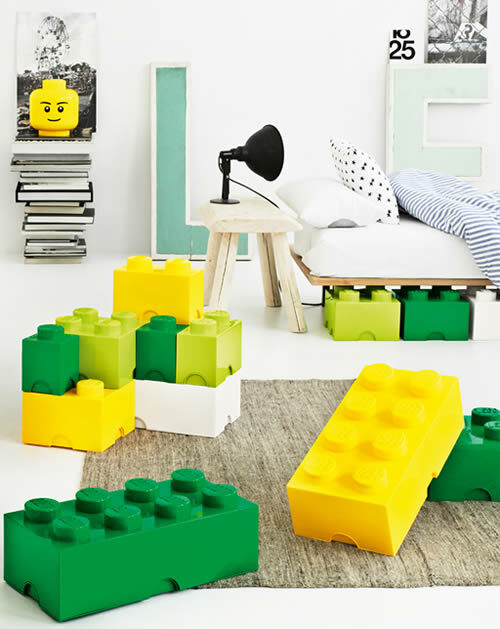 We think they offer a great alternative in a nursery or kids bedroom to a chest of drawers, or in a kids playroom for a colourful and easily accessed and adaptable solution for toy storage. 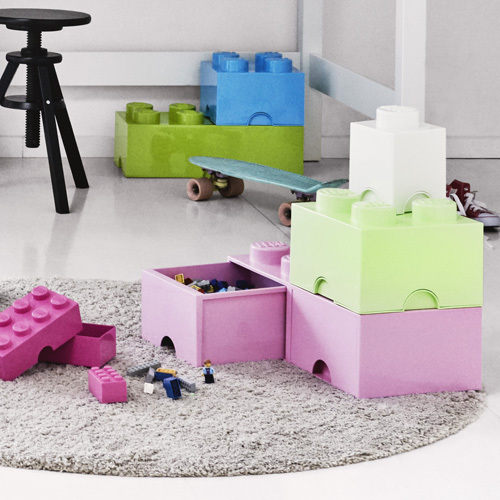 Our large (8 knob) LEGO Storage Drawer Brick has 2 internal drawers which have chunky cut out handles making it easy for little hands to open. 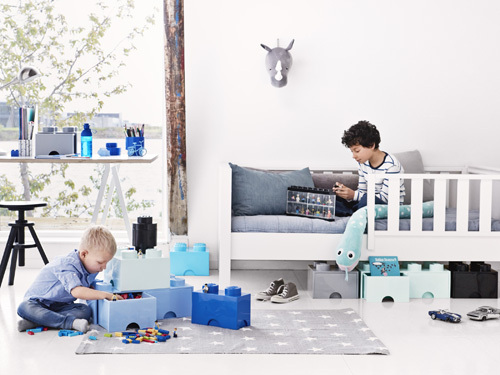 The drawers can be fully removed making them great for playtime but they also have an innovative drawer-stop to prevent them falling out on little toes.